Healthy snacks are essential to have if you're trying to live a healthy lifestyle. It's easy to get hungry between meals, and you need to make sure you have enough energy to work out and do daily activities. However, a lot of healthy snacks are unfortunately not particularly portable. While they might be good to make at home and some can survive being packed into Tupperware, many snacks and frugal foods won't survive out of the fridge or are too delicate to carry about. But there are lots of portable snacks that are ideal for carrying around, whether you're going to work, the gym or anywhere else. There are plenty of different fruits and vegetables that you can pack as a snack. However, you do have to be careful if you want to avoid foods that are easy bruised or damaged. Some fruits don't travel too well, especially after you've chopped them up. For example, some berries like raspberries can go a bit squishy a little too quickly. If you want your fruit and vegetables to survive being carried around, choose harder options and protect them. Alternatively, you could make a smoothie or a juice that removes the worry about your apple going brown or your peach getting squashed. 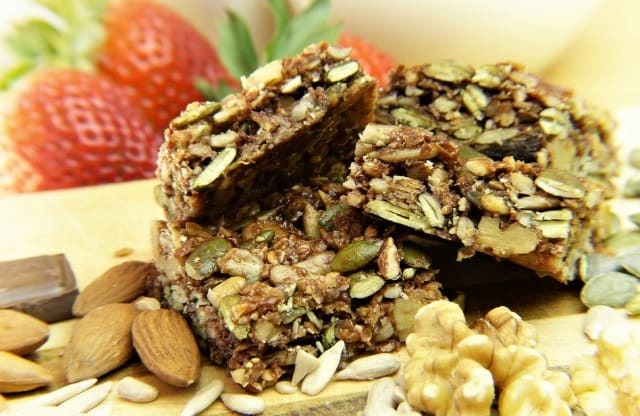 Protein bars are an excellent choice if you want to make sure you have enough energy during the day. A protein bar before going to the gym is a great idea. They're completely portable and easy to eat one-handed while you're busy too. For healthy protein bars, there's a site you can visit for DNX Bars. Get your bars in lots of flavors so that you don't get bored. There's also the option of granola bars, which are great for slow release energy. Just try to keep the sugar content down if you want to make sure that they're healthy. Chips are a common snack, but if you're trying to eat healthy food, you probably want to avoid them. However, if you can't resist the crunch of chips, it can be hard to resist them. Fortunately, there are healthier alternatives if you love chips. Some of them you can buy, but you could also make some things yourself. For example, dried apple chips or vegetable chips are excellent. One thing you can consider is getting a food dryer so that you can make your own snacks. Another excellent snack you can take anywhere with you is any kind of nut or seed. There are lots of healthy options, such as sunflower seeds and pistachios. However, you still need to be careful if you want to eat nuts or seeds as snacks. Some of them can be very fatty, while others might be covered in salt. Choose your nuts and seeds carefully so that you make sure you get the ultimate healthy benefits out of them. Plan your healthy snacks in advance, so that you always have something ready to go. If you leave it until the last minute, you end up sans snacks. I hope you enjoyed this article about healthy snacks that you can pack on a lean budget. Interested in more articles about healthy frugal food?